Want to make something for your true love this Valentine’s? This free children’s hat knitting pattern means you can whip up something snuggly for your little one. I come from a big family full of kids – so even though I don’t have any of my own, there’s no shortage of little feet and happy squeals. For Valentine’s Day, I wanted to design something for the Valentine we can all count on – the treasured little ones in our lives. They certainly won’t stand you up on February 14th – although, they might sneak nibbles of your fancy chocolate! This is a simple pattern that beginners who want to try the fair isle technique would be able to achieve. Stranded knitting (fair isle) is in fact, easier in the round! I used GGH Andania yarn – it’s 100% alpaca and deliciously soft. Alpaca fiber is incredibly warm, and perfect for keeping your little one warm. This hat fits kids with about a 19″ head diameter – but the hat has about 2″ of stretch as well. With the smaller needles and the lighter pink Zyklam shade of yarn, cast on 60 stitches and join to work in the round, being careful not to twist. Work in a K2, P2 rib for 4 inches. Begin working the colorwork chart: remember to catch up your floats every 3 – 4 stitches to prevent puckers and stiff fabric. The colorwork design is made with the darker Fuchsia shade. After working the chart, knit one round with the main Zyklam color. Next round: K2tog across all stitches – 30 stitches remain. Draw yarn through the remaining stitches, and pull tight to close up the hole. Weave in ends, and you’re all done! Love ideas like this free children’s hat knitting pattern for Valentine’s Day? Follow us on Bloglovin’ so you never miss one! Last updated: February 3rd, 2016. What about those of us with Grandsons?! You can make the hearts red and the background any colour. Don’t be afraid to play with colour. Remember some girls don’t like pink and some boys do. It isn’t just a “girl” colour. Very nice pattern, so colorful and pretty – thanks! I do like looking at patterns and this one is adorable. My search at the moment is for my youngest grandchild for a beanie/hat with flaps for ears!! 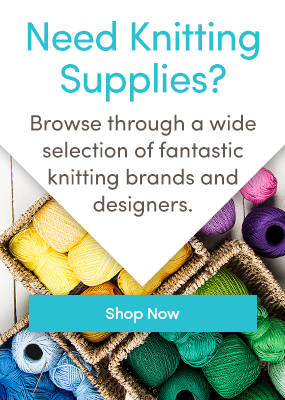 I keep having to register in order to get through to the free patterns and when I do it says I am already signed in and have an account. I think you just need to click the little x on the pop-up box instead of signing up. It happens to me too. Very cute pattern! My mistake, I did have to sign in, but there is a second tab that says sign in, beside the register one, if you click that it will work. I can’t rate down but boo to the perv.If you’ve never really dresesd up for him then just the gesture means a lot. As a guy I am a fan of a simple red or black dress and just a piece or two of jewelry, but you know your own style.Be you dresesd up, not you dresesd up as someone else. Be prepared for his jaw to hit the floor, whatever you do. It’s easy to know that your girlfriend is pretty and another thing to be struck in the face with it.